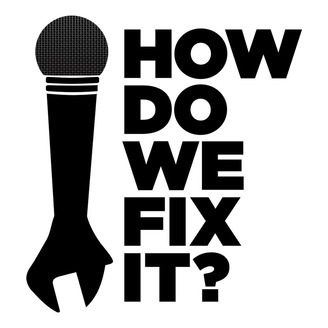 From politics to the personal, we're about solutions.&nbsp;Our weekly podcast features two friends and longtime journalists. Join Richard Davies (ABC News) and Jim Meigs (Popular Mechanics) as they challenge authors, experts and provocateurs in a search for positive, practical ideas.&nbsp;Guests include Alan Dershowitz, a noted legal scholar and defender of civil liberties; Mike Rowe of "Dirty Jobs" and Lenore Skenazy, founder of "Free Range Kids." 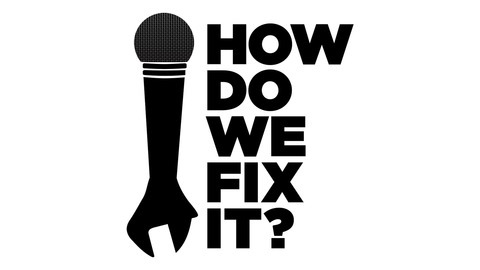 Topics include politics, parenting, personal finance, human behavior and much more.&nbsp;"How Do We Fix It?" - a repair manual for the real world. Produced by DaviesContent. Are you depressed when you read the news? The media's rampant negativity, with a daily emphasis on outrage and crisis, is a form of mental pollution that misinforms the public, harms democracy, and leads a distorted view of the world. "You Are What You Read", by Jodie Jackson, is a call for reform. Written by a non-journalist, the book looks at the psychological impact of reading endlessly negative news, and shows viewers, listeners and readers how to protect themselves and change their media diet. "We need learn about how problems are being solved, issues being resolved for the sake of our souls," says Jodie in her YouTube video, promoting her book. "This is not a call for us to ignore the negative, but rather to not ignore the positive," Jodie tells us. "The most important thing from this research showed that learning about solutions can make us feel more empowered."